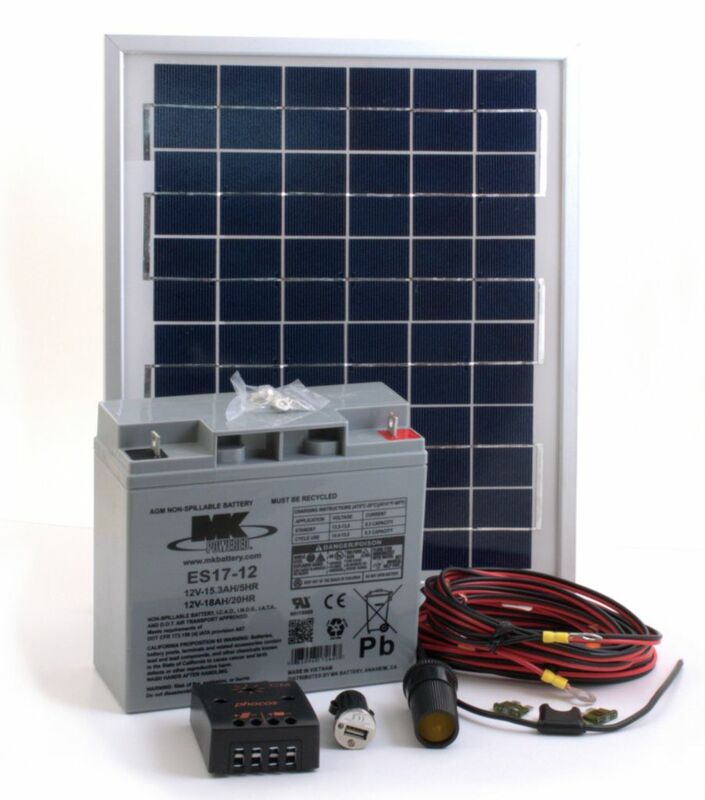 This 10W solar kit comes with everything needed to build a 12V solar energy system. Once built, the system powers small electronics, battery chargers, charge cell phones, and LED lighting. Panel outputs about .6A per hour of sun. At five hours of sun per day, the panel will generate about 3aH per day of energy at 12V. Our 3W LED Bulb uses 270mA per hour of use. If the bulb is on for six hours per night, it would use 1.6aH out of the 3aH the solar panel generated during the day. Lamps can convert to 12V and connect to the solar energy system using the 12V bulbs. Ordering information: This kit includes a framed 10W solar panel, solar charge controller, 18aH Battery, female lighter socket with fuse holder, wiring, and instructions.